A sole representative visa allows an individual to enter the UK on behalf of an overseas company if said company does not already have a presence in the UK. Companies wishing to apply under this category should understand that it is only for the expansion of their business. 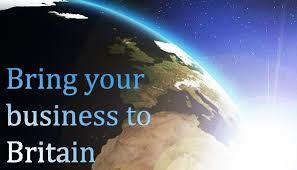 The sole representative visa is designed to help overseas companies to establish/expand its business in the UK. An overseas company is not permitted to send more than one person to act as a sole representative in the UK; any further staff members must apply under the relevant tier for a work visa. Once the visa is granted, an initial two-year leave is usually granted and extended for a further 3 years. After five continuous years in the UK, the individual may apply for indefinite leave to remain. The individual must be employed by the parent company and in a senior position. The individual representing the company in the UK as the Sole Representative must be someone who is an existing senior member of staff. Someone can be recruited specifically for this role but they would have to be recruited overseas and have a track record of setting up branches for other organisations. The individual applying cannot be a majority shareholder in the overseas business but should be senior enough to have full authority to take operational decisions in respect of the UK operation without referral to the parent business. Individuals applying to enter the UK as a Sole Representatives of overseas companies are required to sit and pass an approved English language test to the standard (A1 of the Common European Framework Reference) or to have an equivalent of a UK bachelors degree taught in English. The distinct advantage of this category is that the individual is not required to have any defined financial resources with which to establish the UK branch, as it is expected that the parent company would provide the necessary capital necessary. The personal financial consideration is that the individual must have adequate monies available to him or her to allow him or her to maintain and accommodate themselves and any dependants without recourse to public funds. At the point of extension, necessary evidence of the activity of the UK company must be presented to show that the UK company has been set up and legally registered, and it’s active and trading in the UK, usually by way of company accounts, contracts, invoices, tax returns and so forth. There is no requirement on income however the company must generate a minimum level of turnover that the company is stable enough to support the Sole Representative and that it’s an ongoing commercial enterprise. It must also be demonstrated that the overseas company has continued to have its centre of operations outside the UK throughout the five years.